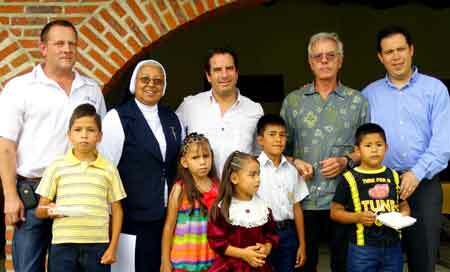 The home for 26 orphaned and abandoned children on the south shore of Lake Chapala caught the attention of lakeside residents Peter and Bettina Simons. As enthusiastic 30-year proponents of helping worthy organizations to gain energy independence, they created the Mexican Grid-Free Foundation and obtained non-profit status. They continue to provide schools, orphanages and other groups relief from crushing semi-monthly electric bills while utilizing the power of the Mexican sun and creating a “greener” environment. Working toward solutions for Grid-Free, Simons eventually invited the president of Japanese company Sharp to visit lakeside during a business trip to Mexico.